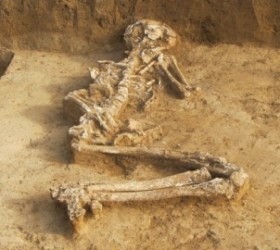 Bulgarian archaeologists have uncovered the remains of a woman that appears to have been buried pregnant 6000 years ago. 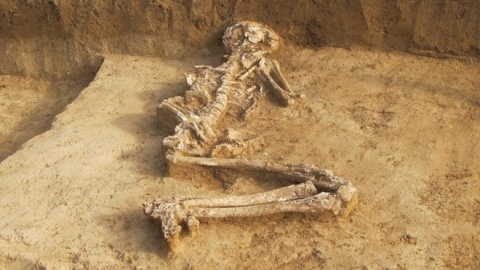 The found – described as highly unusual – was made in a newly discovered necropolis in the famous village of Svestari in north-east Bulgaria. A total of five skeletons were discovered in the necropolis, all of them buried in unusual position – with their legs bound and their heads facing southwards, the BGNES news agency informs. The buried woman had exquisite pearl ornaments, according to Professor Diana Gergova, who led the dig. In September, Gergova’s team found in Sveshtari the remains of a 2500-year-old Thracian carriage and two horses that appear to have been buried upright. A unique gold Thracian treasure was discovered in Sveshtari in 2012.